Are you the owner or marketer for a fashion boutique or online clothing retailer? Do you want to increase the traffic to your online store? Do you know what “SEO” is and have you tried to apply the basic fundamentals of an ‘SEO-friendly’ website before? To make search engines work for you, there are a number of tasks you must take in order to increase the likelihood your fashion website will be found in Google. SEO for an online store is a little different to optimising a local plumber or accountant’s website! 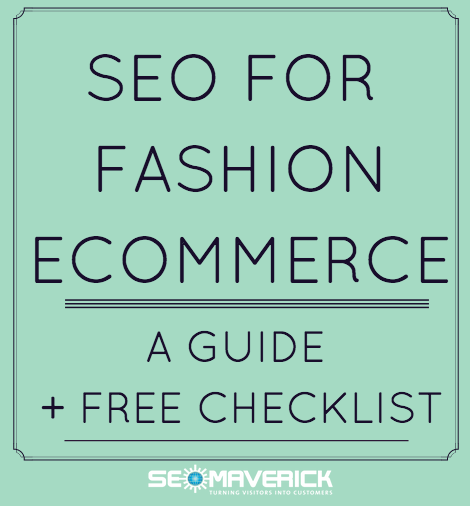 We understand that SEO can be daunting, so we have created an easy-to-follow guide specifically for online fashion boutiques or E-Commerce sites who want to improve their search engine rankings, increase their traffic and make more sales. We have segmented this guide into three phases: beginner, intermediate and advanced. Don’t be put off by the words ‘intermediate’ and ‘advanced’ – you can still implement these tactics, they just may be a little more time consuming or require more technical website knowledge. Nonetheless, all the tactics in this guide are achievable for ANY fashion E-Commerce website, boutique clothing online store, or even a general clothing store owner. Feel free to add comments below or get in touch on Twitter and Facebook. There are no silly questions! For the boutique owner who is just starting out with an online store, and doesn’t quite know where to start when it comes to SEO. These tactics are as easy to implement, and don’t require any technical knowledge at all! This is simple but the sooner you install Google Analytics and enable Google Analytics eCommerce Tracking on your website, the sooner you will start collecting valuable data about your website’s traffic sources, keywords, audience information and other useful knowledge that will help your website grow. Google Webmaster Tools is detailed information directly from Google on how they ‘view’ the data on your website. Google Webmaster Tools provides interesting data and detailed insights into your website including: keywords the website is ranking for, backlinks (other websites linking to yours), current Google rankings, mobile friendliness and other crawl data. 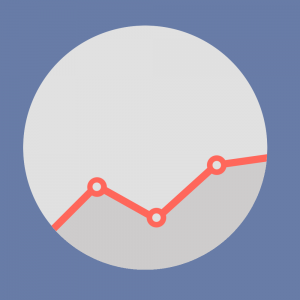 You can connect both Google Analytics and Webmaster tools to make data monitoring easier! Google Webmaster Tools will also notify you if a Google penalty is ever applied to your website. This is a really quick and easy way to check if Google is crawling and indexing your website. Make a quick mental note of how many pages you think you have on your site (category, archive, blog pages). Then simply enter site:yourdomain into Google and then compare to how many pages you thought you had. If it’s shockingly different (way too many or not enough) then you might have some issues with your site and we recommend getting some professional help. If no results show up, then that may indicate your site might be in breach of Google’s Webmaster Guidelines and you may need to submit a manual reconsideration request. We also recommend you get some help with this. However, it may not be this sinister as you may have a brand new website that is yet to be indexed by Google. You could be even blocking Google from accessing your website or have non-descriptive page titles. Taking actions like installing Google Analytics, Webmaster Tools, updating page titles and obtaining some quality links to your website can help Google index your store. For more information on why your website may not be appearing in Google and what you can do to resolve it, check out our detailed blog post. 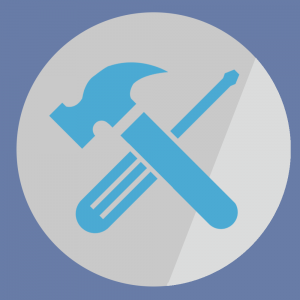 Search Engine Watch contributor, Alex Moss believes installing WordPress SEO by Yoast is equally as important as the WordPress installation itself. It is absolutely essential that if using WordPress, that you install an SEO plugin. 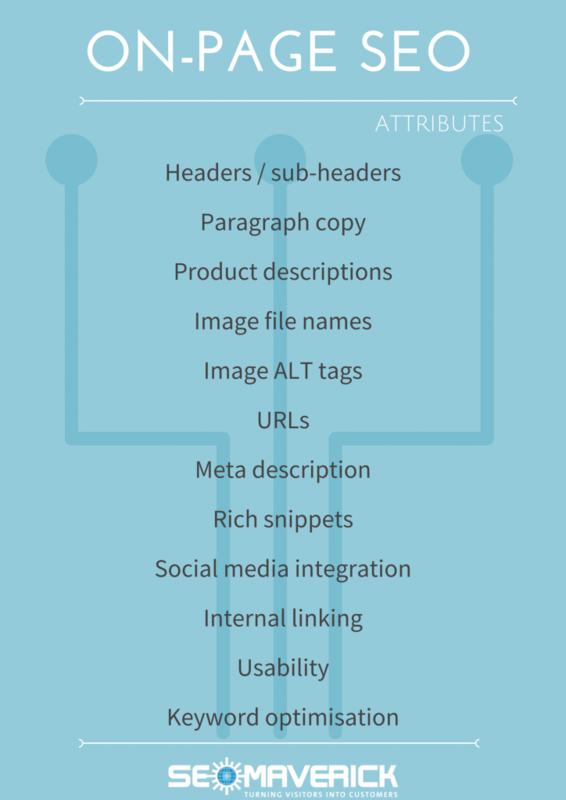 There are many great plugins for your site when it comes to SEO, usability and conversion. Tip: Another MUST-HAVE plugin is Wordfence for website security. Wordfence runs a diagnosis of your website and alerts you of any issues in realtime. With online shopping, customers need a lot more information to help carry them through the decision making process. They can’t feel the fabric, try the garment for sizing or really know how it is going to sit on their body shape… so you need to provide amazing descriptions. Intertwine Marketing emphasises that SEO can only get you so far, your product copy must be psychologically persuasive. It is important that your image file names and ALT Tags describe the image clearly. ALT Tags help Google associate words with images and if named appropriately, they can help improve rankings. 1. 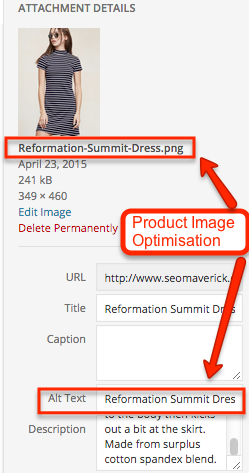 Name your images with descriptive keyword-rich file names e.g. Sass and Bide Orbits Spiral Tee Grey. Avoid uploading images named ‘IMG0632.jpeg’ or ‘untitled_023.png’. 2. Name your ALT tags with keywords describing the product. Be careful of having too many category pages, as these can easily become duplicate content on your site. The Yoast SEO plugin allows you a lot of control over how whether to index certain category pages, or whether to block them from Google. SEO copy (descriptions with keywords) that is also useful for the customer. Try not to jam pack this section with keywords or repeat the same keywords more than twice – use common language and outline the benefits of the products within that category. A display of related products (with the best products listed first). Category specific URL tags (avoid onlineboutique.com/SKU45245-dsdadk?! or pagination e.g. onlineboutique.com/dresses-2). Google Business may not be a top priority when it comes to social media, but it is essential to SEO for stores that also have a physical shop front. Your Google Business page (also known as your Google Places page, Google+ or Google Local page) feeds your business information directly into Google’s search results. You need to claim your Google page and ensure that the information is consistent with the data on your website. Posting on Google with your targeted keywords can also help your SEO efforts. **Tip: This step is imperative with any boutique with a physical location AND an online fashion boutique website. If your business is 100% online then you can skip this step, as well as step 9 and 10. 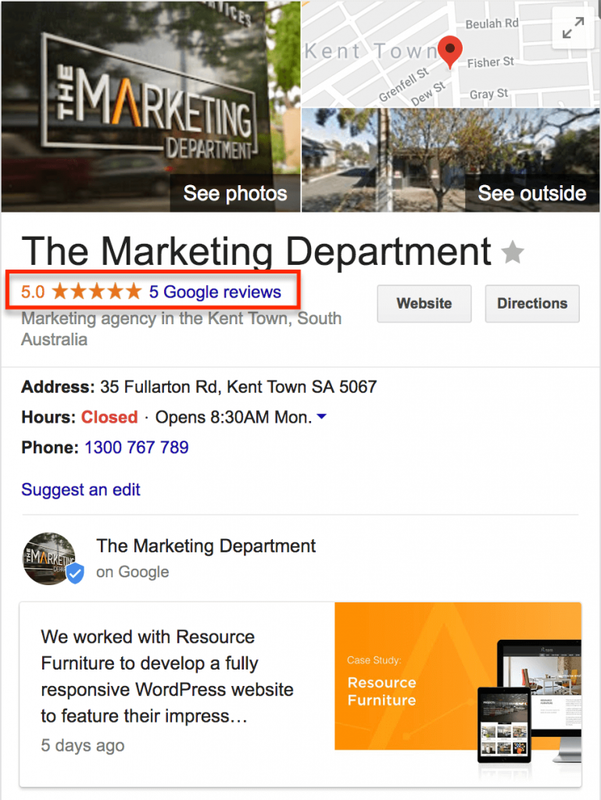 Obtaining genuine, quality reviews from happy customers will heavily impact your rankings in your local area and will show your credibility to potential customers that just found you on Google. This is particularly important if you actually serve customers at a store front! E-Commerce Reviews: Why You Need Them and How To Use Them features some great stats on how reviews can affect conversion rates. Citations are basically mentions of your business information (name, address, phone number, and website) on the Internet. This information is the foundation on how Google interprets your business information. If it is different across the web, Google can get confused, so try keep it consistent. **Note: citations are only important for fashion eCommerce stores that have a physical shop front as well. If you don’t have a physical address, then this is not necessary! **Tip: According to Moz.com, citations are a key component of the ranking algorithm in Google and Bing. If you are confused about where to get citations for your online and local store, take a look at the following guides to explore opportunities for citation building. Now that you have the absolute basics of SEO completed for your online fashion store, the next step implement some slightly more advanced tactics. It is essential to define and target the right keywords so Google can lead browsing shoppers right to your website. You need to understand who your target market is, what keywords they are searching, which search engine they use and how you can their behaviour. This is an important element of any content marketing and SEO plan. 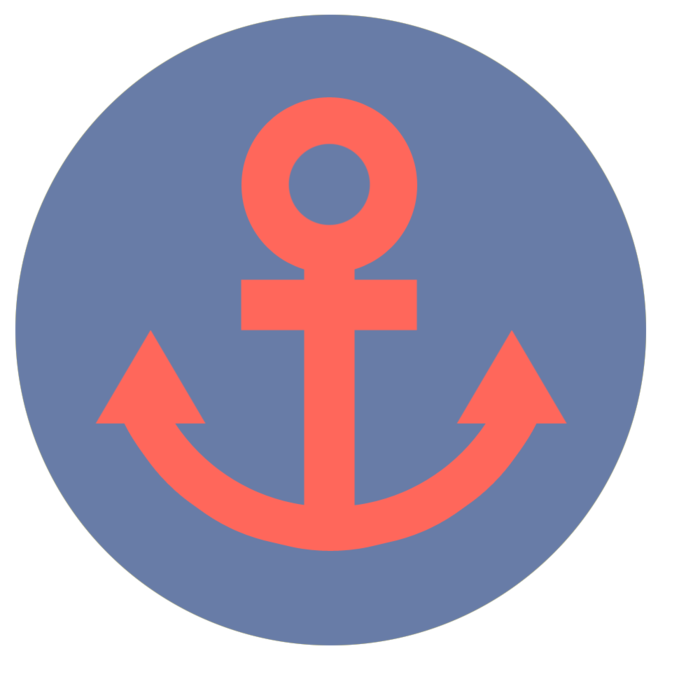 Internal linking and the use of anchor text is what search engines use to determine what your website is about. Using targeted keywords in your text and hyperlinking them strategically to similar products, relevant categories or resources helps SEO and navigation for your customers. 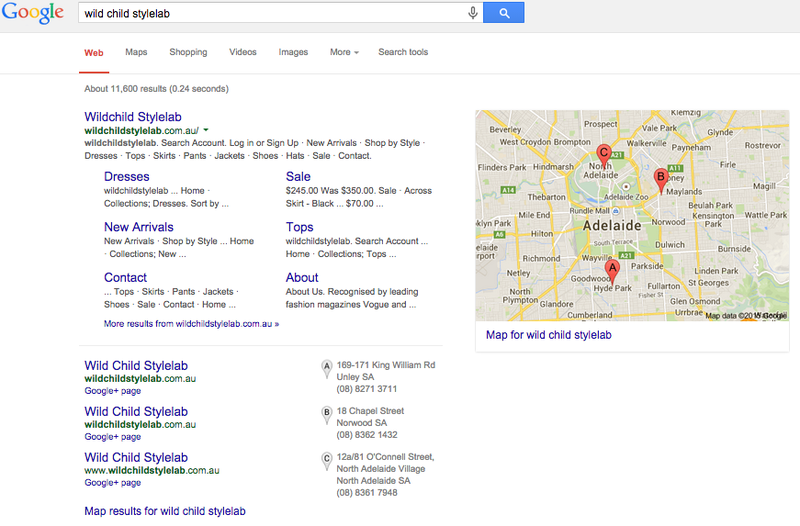 It’s OK to use keywords in your anchor text, but don’t overdo it as it might flag an ‘over-optimisation’ Google filter. Finding and analysing your competitor’s activities, website structure, and overall content within your industry, will help you in your SEO efforts. You will be able to determine (along with other keyword research) which keywords you should be attempting to rank your online fashion website for, and then plug those into a rank checking tool to see where you currently sit. Who are your actual competitors on a Google search level? What keywords they are using? Why they are ahead in the page ranking game? How did they rank on Google? Is your competition using their blog to leverage keywords? So far we have covered a lot of ‘off-page’ SEO, so here we will get into the stuff that YOU control. By customising the different areas listed below, you can help influence how search engines understand your website. We highly recommend paying close attention to your page titles and meta descriptions. Targeted, informative and engaging descriptions are great for search engines but also help the reader determine whether or not to click through to your online store. eConsultancy.com believes there is an art to writing effective, 150-160 character meta descriptions. The screenshot below shows the different page titles for the search ‘womens boots’. Each page title and meta description includes their targeted keywords. Make sure you mention top marketing points in your meta descriptions like: big brand names, styles, shipping details or discounts. 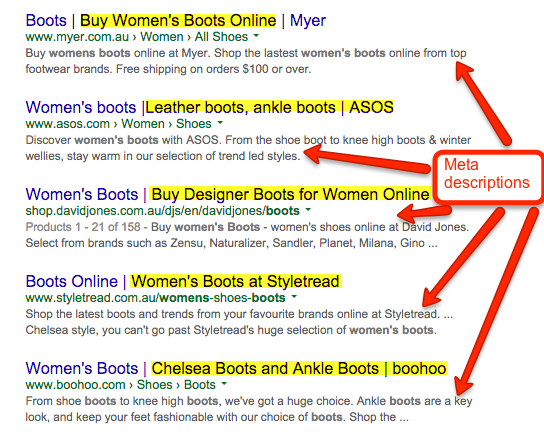 If your store doesn’t have too many products, you can easily add meta descriptions in manually. Alternatively, the Yoast SEO plugin can help you efficiently view, edit and delete titles and meta descriptions on any given page. Trust us, this can save a lot of time and effort shifting through products and pages! An effective call-to-action partnered with a Google Analytics ‘Goals’ or ‘Event’ tracks and monitors how visitors interact with your website. Do they sign up to the newsletter? Fill out the contact form? Share a product on Pinterest? Read your blog? Are they interested in related products? You might be thinking, how does this relate to SEO? 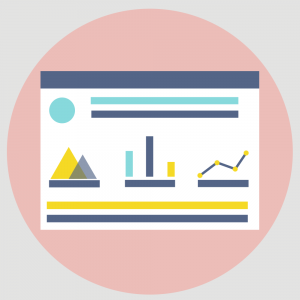 Without Google Analytics – you’re flying blind! It measures the direct results of all your hard work. Fashion blogs can have a huge readership and can be a gold mine for traffic and attracting links to your website that you otherwise would not be able to get. There is a lot of information on how to start a blog, so we chose the following three resources as a great way to get started. Don’t be put off by the word ‘advanced’! The following steps may require a little more time and effort, but can be the difference between the 1st page…and the 10th! Gaining quality backlinks from similar pages or authority websites can not only expose your website to new customers, but also significantly increase your rankings on search engines and help you get ahead of competitors. Link building is highly beneficial and crucial for any online fashion website no matter whether you are using Magento, WordPress or Shopify. Our article, How To Get Links and Social Shares explains various methods in which you can get quality links to your website. There is no point in having fantastic products without a strong social and link building strategy. If you’re unfamiliar with link building, this article explains what it is, and why it is important. Natural ‘editorial’ links from other companies, brands and people that genuinely want to share your website and products. Manually reaching out to bloggers, websites or directories with a value proposition or link request. Self-created (or non-editorial) link building through blog comments, book guest signings, forum signatures or user profiles are considered very low-value and can result in penalties and spam action against your website. In this section we will touch on how to genuinely build links and relationships that will boost rankings, increase credibility and expose your website to more potential customers. The first step to attracting quality links to your fashion website, is to create some unique, memorable and noteworthy content. 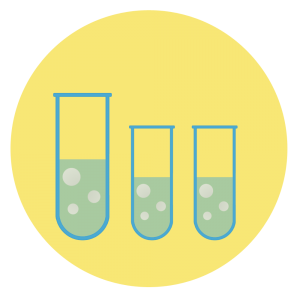 Content for your site includes everything from your product descriptions, to videos, blog posts, user reviews, links and titles. If your content is not easily shareable, appealing to your niche, informative and structured in a pleasing format, then it’s unlikely people will want to link to you. It is great content that attracts those genuine, natural links! 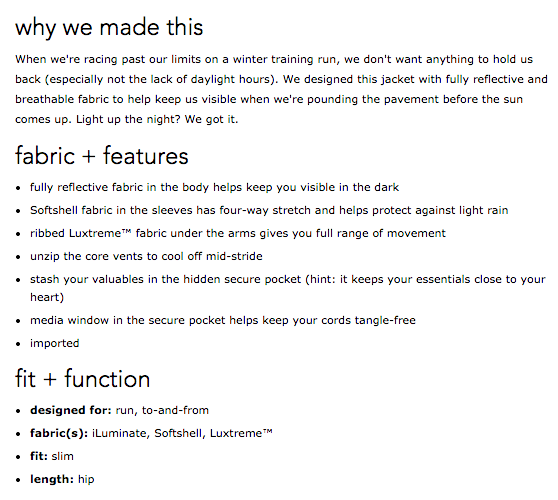 Is your product copy descriptive, useful and engaging? Would a product video be beneficial to your descriptions? Is there a clear call-to-action for the customer? Are there customer product reviews visible? Is it shareable? Are there social media share buttons close to the image? Once you’ve got a website or interesting piece of content on your website that is WORTHY of sharing, then the next step is to get in touch with bloggers or webmasters in your industry. When you think of bloggers with a readership, think consumer influencers for marketing and referrals/ backlinks for SEO. Both can be powerful. Connecting with bloggers with a strong following and asking for a product review, a featured article or giveaway, can help expand your website’s reach, introduce your brand to new customers, and then improve your website rankings. With the ‘blogger boom’, more companies are collaborating with bloggers to promote their business, products and brand – and you should too! Do you have the same target audience? What is the bloggers social reach and readership? What are your requirements of the blogger? Do they have examples of previous partnerships? How will you measure the success of this partnership? **Tip: A great way to find active bloggers in your niche is by using Mention or Google Alerts. You can see when and who is mentioning your competitors and what they say. Partnering with bloggers to help promote your online fashion store may be a daunting task. The following resources help define different outreach strategies and include everything from what to include in your email, the offer and and actual pitch. Why Blogger Outreach Will Make (or Break Your Blog) – This is a great resource that covers how to find and pitch to bloggers. How Much Influence Do Fashion Bloggers Have? With all the great content, product reviews and blogger mentions you have now generated about your fashion website, you could now be building an interesting public relations story that you can pitch to media sources, bloggers or journalists. All companies, brands and businesses have a point of differentiation, the challenge lies in defining an angle that is appealing for fashion media outlets. How is your website different from other online stores? Do you stock exclusive items? Do you have a unique story of how your website started? What is strong, impressive or interesting about your story, products or staff? Does your range support any current trends or forecast new ones? Are the products you stock ethical, eco-friendly or made locally? Search Google for local and national fashion news publications and blogs that your believe are aligned with your brand or may be interested in your story. Made From Cloth suggests the top three elements of a successful press release is: it’s newsworthy, knows the market and is formatted correctly. An understanding of your market and a great example press release can help you get started in promoting your online store to the media. We mentioned earlier that Google Analytics is a great way to track if visitors convert to sales and how customers interact with your webstore. We highly recommend you install the Google Analytics eCommerce tracking plugin by Yoast to customise your analytics and really understand your customers. 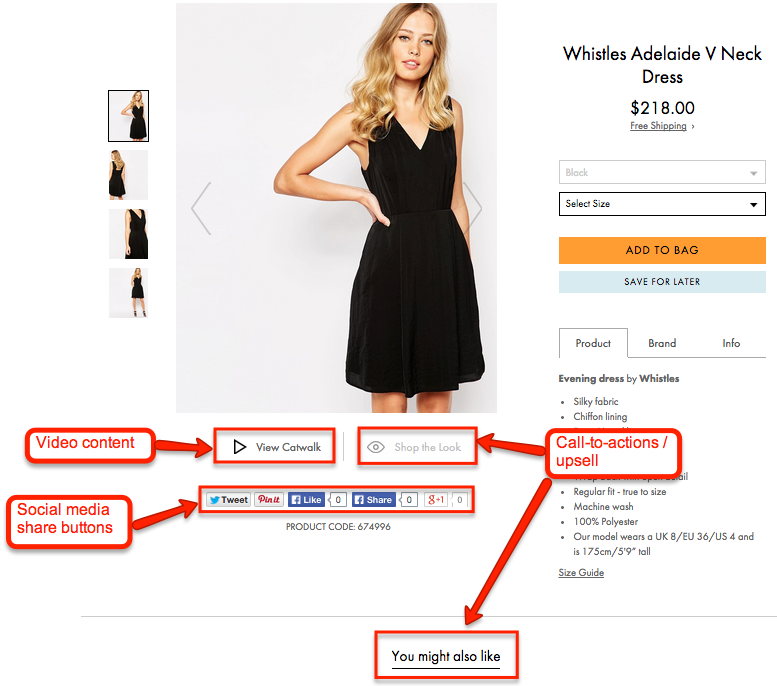 Having trouble setting or understanding eCommerce tracking for your fashion store? You can control how search engines interpret the data on your website and how they deliver your information in search results. By adding bits of schema.org ‘vocabulary’ (coding) to HTML Microdata. When used properly, schema markup can help make your listings look more eye-catching and attractive, thus helping you stand out from competitors. How does this apply to your fashion eCommerce website? 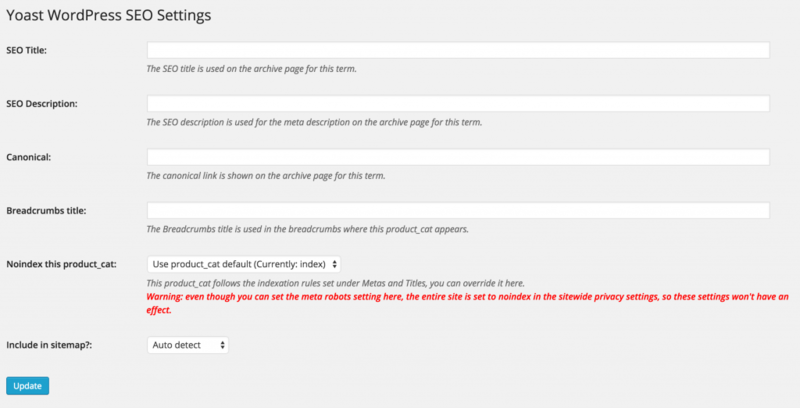 Schema markup helps your websites rank for a variety of content types including products. You can control the message here and include the price, brand names and product ratings. You know those annoying ‘Page Not Found’ or ‘404’ errors you see when a link or page on a website is broken? This is a common pitfall for online stores and it’s important to remove these so Google doesn’t think you have a poor quality website. Screaming Frog is a great tool that crawls your site, alerts you of these errors AND reveals duplicate content. If you do have a lot of duplicated content, you may need to hire a developer or learn to add redirects and canonical links. Moz has an excellent article about what duplicate content is, how it impacts on your website, and what to do about it. Congratulations! You have reached the end of our Guide to eCommerce For Fashion Websites. Have visible value adds e.g. discounts, free shipping, next-day delivery etc. 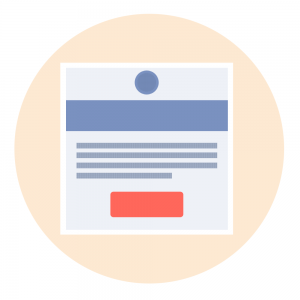 Use pop ups to grow your mailing list – try Optin Monster. 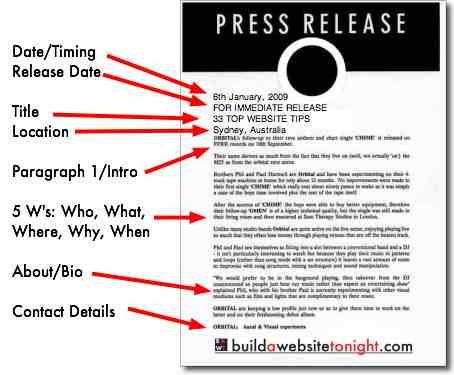 Thanks for linking to our example release template we hope it helps your readers connect with the media. Thanks Linda. I have used your template in the past and had success, so thank you! Wow, Hannah! What an epic guide! This will surely be helpful to ecommerce sites looking to generate more search traffic. Your Persuasive Marketing Techniques article is fantastic and needed to be included in the guide. So many useful tips in there! Really great guide with good structure, thank you! Thanks for sharing with great information about e-commerce SEO. I have a new client that I just started working with and this will be very beneficial.